Cottage Sheet Metal Rock Stars? We love to hear feedback from our customers. Especially when it’s this positive! Thanks Eileen, for taking the time to write such a thoughtful letter. We really appreciate it! We recently had a new furnace installed by Jeff and his brother. They were both very personable and knowledgable to all questions we asked. The job they did was awesome and the cleanup and removable of old furnace was greatly appreciated. We also called in the AM and by days end we had heat and or new furnace completed. Also the young lady answering the phones was very friendly. 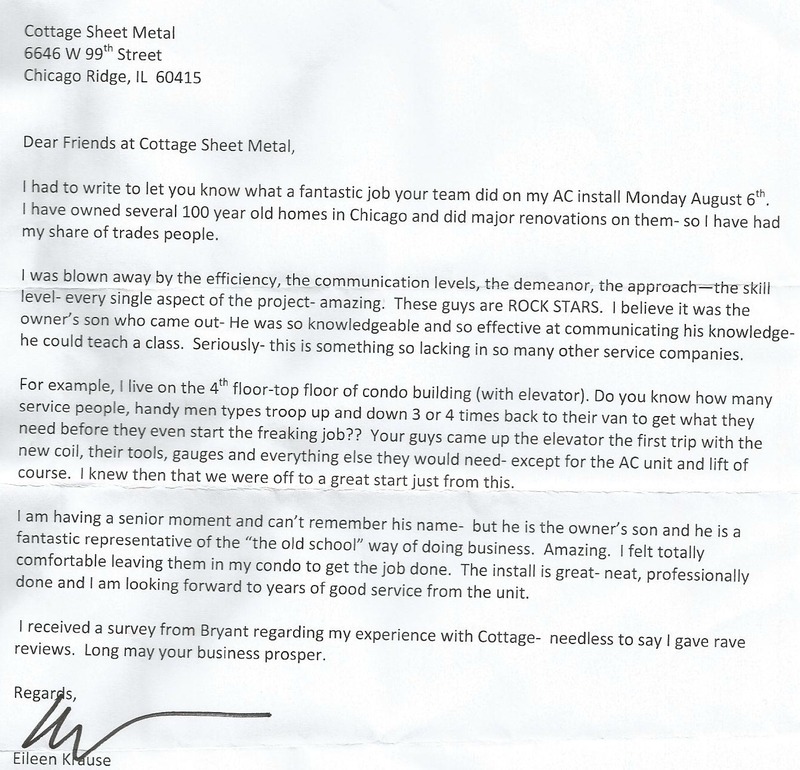 We would absolutely recommend Cottage Sheet Metal to ALL our family and friends. Job well done. Thank You!